Looking to stay current in the fast-changing world of health care? You’re not alone. Kaiser Permanente leaders, labor representatives and industry experts offered insights at November’s Workforce of the Future Conference in Berkeley, California. Here are six strategies you can follow to prepare for the workforce of the future. Learn new ways to work. During the Industrial Revolution, cobblers and weavers had to adapt or get left behind. This process continues today—only now, it’s happening faster, said keynote speaker Art Bilger, founder and CEO of WorkingNation, a nonprofit group seeking solutions for economic change. Skills used to last a lifetime and career paths were clear. Now there’s a new development every 18 months. Get on the cutting edge and imagine the opportunities technology provides. “Be deeply curious. We’re all newbies,” said keynote speaker John Seely Brown, an author, scholar and former director of the Xerox Palo Alto Research Center, who gives high marks to the innovative learning approach of the new Kaiser Permanente School of Medicine. Age is not a barrier to lifelong learning, said keynote speaker Sandi Vito, executive director of 1199SEIU Training and Employment Funds, which partners with Montefiore Health System in New York. Indeed, the average age of participants in the two LMP-supported educational trusts (Ben Hudnall Memorial Trust and SEIU UHW-West & Joint Employer Education Fund) is 44. Kaiser Permanente employees have many resources to advance their careers, including targeted training programs for workers represented by the Coalition of KP Unions. 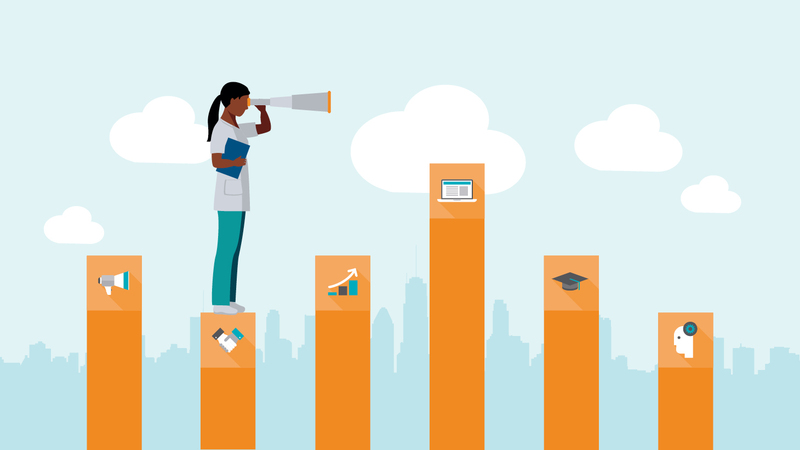 To start, learn four critical skills that will be essential to the future of health care. A digital fluency program launched in October, to be followed by programs in consumer focus, collaboration and process improvement. Tap the power of partnership. As Kaiser Permanente and the Coalition of KP Unions have successfully partnered, Montefiore and 1199SEIU have developed collaborative training programs, such as community health worker apprenticeships that benefit employees, the organization and the community, said keynote speaker Lynn Richmond, Montefiore’s chief strategy officer. The conference produced actionable ideas such as developing a communications strategy to show the value of continuous learning and generate more on-the-job training. Other ideas included apprenticeships and reverse mentoring.